The cornea represents the very outer surface of the eye and plays a major role in how you focus on images. Corneal diseases, abnormalities, or injuries can affect the health and comfort of your eyes. In some cases, compromised corneal tissue can even affect your eyesight. There may be more damage to the cornea than you think if you are experiencing symptoms such as blurry or hazy vision, sensitivity to light, headaches, fatigue, redness, inflammation and severe pain and discomfort in the eye. Treating the cornea with medication is typically the first treatment option doctors will try. If your vision cannot be accurately corrected with medications, our expert fellow-ship trained and board certified cornea specialists will decide which treatment option is best for you. Cornea transplants can restore lost or limited vision, reduce pain, and improve the appearance of a damaged or diseased cornea. If you need to explore cornea surgery, reach out to schedule a consultation with one of our cornea specialists. 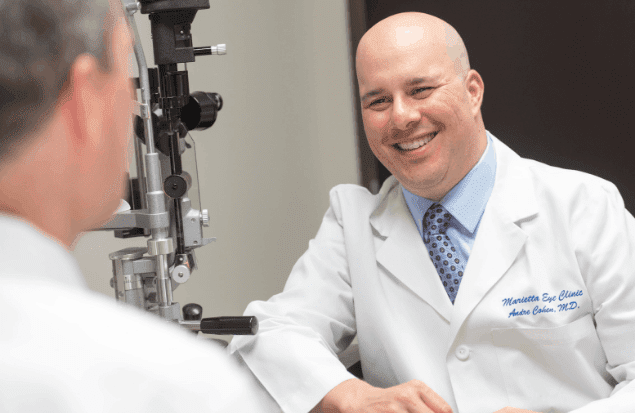 There are many treatment options for corneal disorders with high success rates and our team of fellowship-trained corneal specialists have helped many patients overcome corneal issues with satisfactory results. Learn more about the treatment options. Learn about Keratoconus, a common corneal dystrophy. Learn about Corneal Transplant Surgery.